Tell that its knitter well those contours read. The hand that mocked them while the town was in bed. If I do, I’m not going to bother trying it nice or stylish. That statue is old and…erm…set in its ways. Probably will think anything I knit is too modern. My grandmother kintted. She died of cancer in 2009 and I didn’t ever get to learn from her. I have set a goal for myself to learn how to knit. Once I learn, I doubt I’ll be making the same things Grandma did, but I think she’d be happy to know that someone is carrying on the family’s yarn love. Amazing yarn and amazing photography, by the way. You know, it might be a small shawl. I have found some shawl patterns, same shape as the btukas, but a little harder to keep my brain on it’s toes. Plus it uses a circular needle which is nice for ttc rides, keeps me from accidentally stabbing people with needles. Accidentally. Heh. I have yarn bombing on my mind….I’m going to Paris next month and seriously thinking about leaving a statuary with a hat…. Seems like something I should plan to do on my trips from now on. A fun tradition. Hmmm…Liberty fabric soduns like a good idea to me…but honestly I’d hold onto the gift certificate for a couple of days and give it a good thinking (maybe you’ve already done that, though) because some cashmere yarn soduns delicious too. 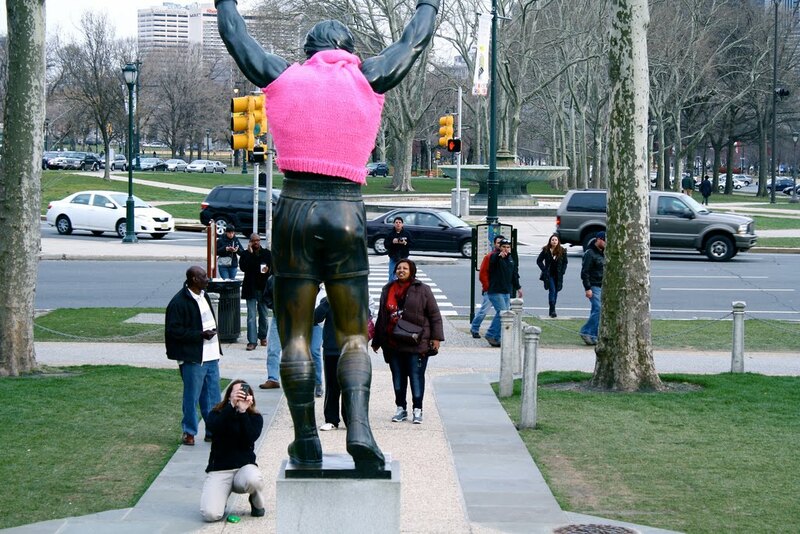 Yarn-bombing is the b… I can’t finish that, but it’s cool. I love that somethign so domestic and unthreatening could be used in such an public and assertive way. Thank you so much for the great podcast (as usual) & for the YouTube link, I went to Uni in Newport many moons ago and it just crkeacd me up, made me feel quite nostalgic, I can’t stop humming the tune now though! Haha I love these pictures! I may have to do this one day. Molly–spot saved for you in my next class. No promises that D won’t steal your yarn ball. Or try to eat your neledes. But I won’t let her touch your coffee. Some things are sacred.